Sometimes there will be situations where you are uploading a proof, but you do not know who needs to review and approve it – but someone else does know. You’re a designer and your account manager knows. 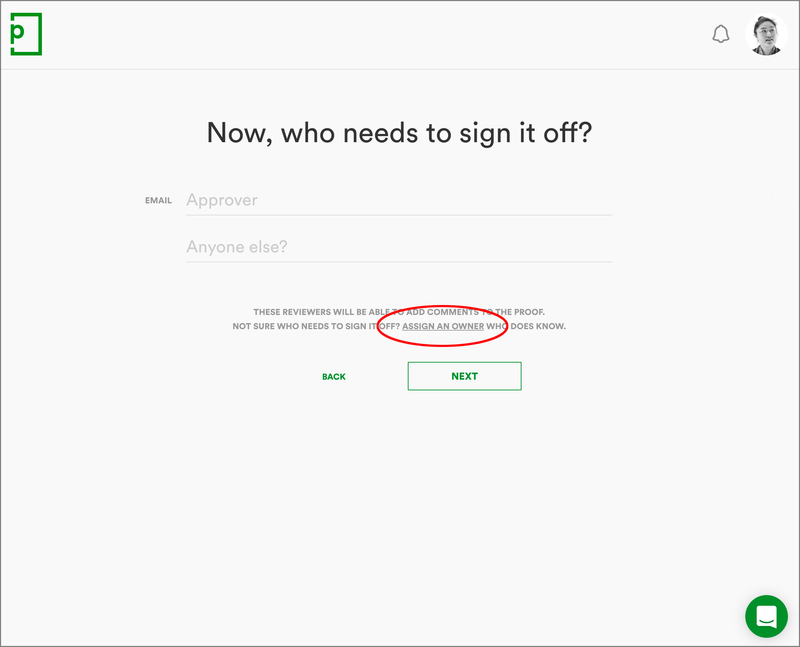 You’re an account manager and your client knows exactly who in their organisation needs to sign off the proof – they want to assign their PageProof workflow themselves. In the proof set up screen, ensure the workflow is set to create new workflow. Click next. 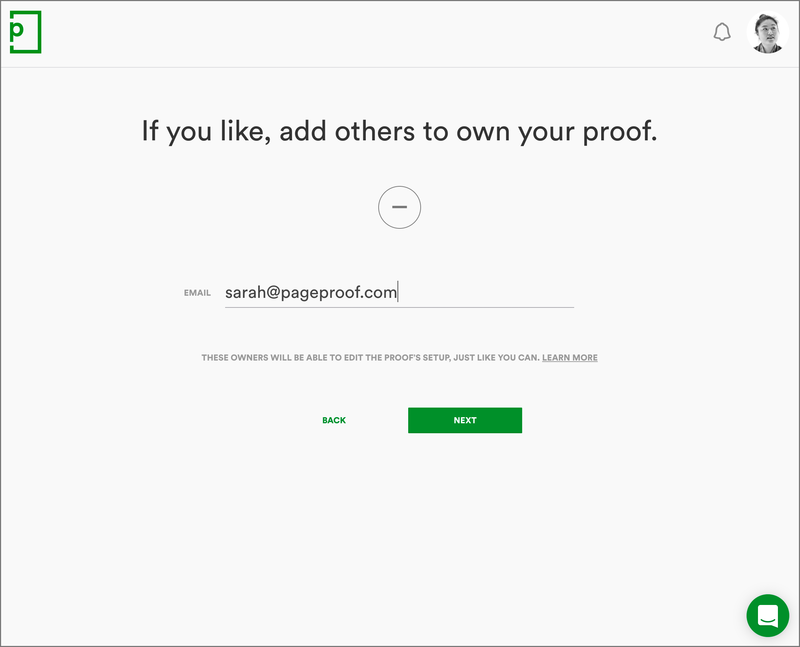 Instead of adding reviewer email addresses, click assign an owner. Click the plus icon and enter their email address. Click next. The proof is now partially set up and has involved the co-owner (and notified them via email). 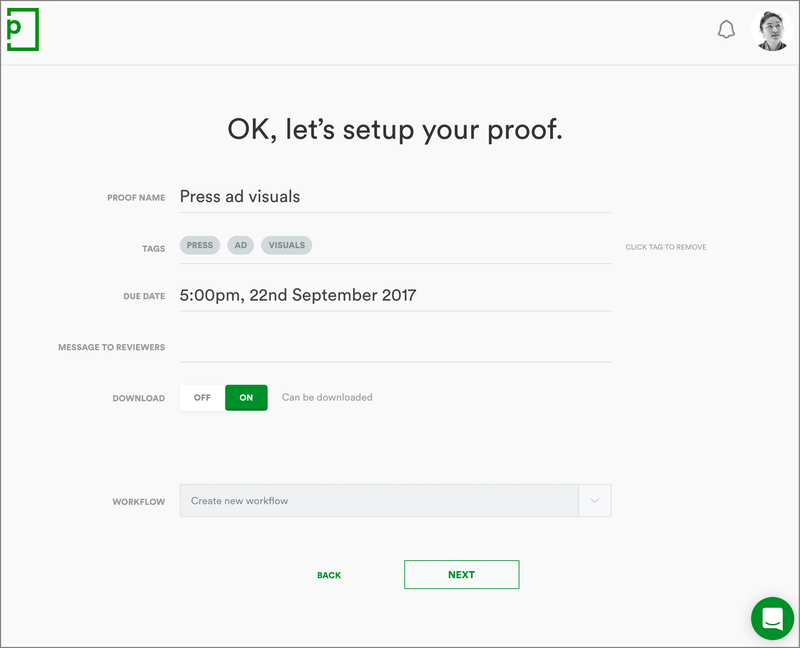 The proof will be sitting in the dashboard outbox for both of you until a workflow has been assigned to the proof and the proof is underway. This short video may be handy to watch as well.